A primary school in Shoreham has expressed its gratitude to Mackley, following a donation of resources including two benches for the school playground. Mackley made the donation to St Peter’s Catholic Primary School to mark the end of a two-and-a-half-year project, which has significantly reduced flood risk to more than 2,300 properties in the Shoreham area. Completed in February 2019, the Shoreham Adur Tidal Walls scheme was described as a ‘genuine success in partnership working’ at the official opening on 22 March. During the project, Mackley has built an ongoing relationship with the school, taking pupils to visit the flood defence scheme and learn more about its impact. 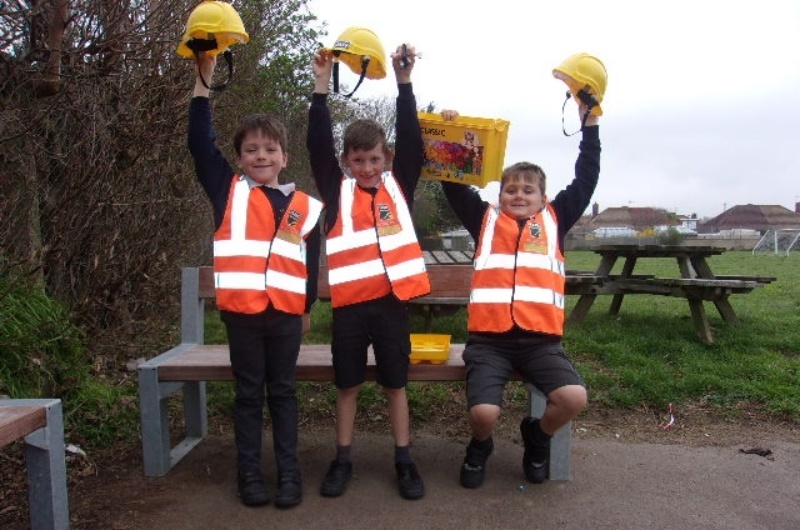 In addition to the two benches, the donation also includes a quantity of Lego, hard hats, high-vis jackets, pencils and pens. The donation follows a plea from the school for Lego to be used at a lunchtime Lego club, set up to help develop pupils’ social and communication skills and encourage problem solving and creative thinking. “It is heartening to see companies take an interest in local schools. David Knapp and his team have been amazing. “We are committed to working in partnership with the people who live and work in the areas where we operate and support a wide range of local charities and community initiatives.